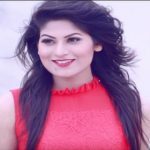 Ambrin Sarjeen is a popular Bangladeshi model and television host who comes to the timeline around the country for hosting the BPL (Bangladesh Premier League). She was a participant in the beauty pageant Lux Channel I Superstar. The model is best known for her outstanding fashion concern around the world. Ambrin already established her name in the media industry for her terrific performance. Ambrin was born in Tripoli, Libya that is not known by the common people around the country. She came to Bangladesh with parents when she was ten years old. Her father Golam Rasel was a Bengali and mother is a Sri Lankan, the couple met in Libya eventually got married. On December 11, 2016, he father died at 55 that she confirmed by facebook status. Golam Rasel was a successful businessman. She is studying fashion design at INIST, due to study, she couldn’t give enough time in the media industry. Her intention is to give full effort in the media after study. She is so much passionate about film industry of Bangladesh but her family members didn’t support her in this regard. 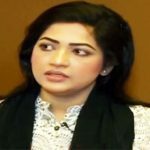 Ambrin kicked off her career journey in the media industry by participating in the Lux Channel I Superstar in 2007 and positioned herself in the top ten lists. Then she got lots of offer in the showbiz industry to perform in the Television advertisement. Ambrin made a television advertisement for the Bashundhara Group and showed off terrific modeling performance as well as never looked back in the career. She already has done several television programs and lots of advertisement. But the fashionable girl comes to limelight for hosting the BPL season 3 and 4. Ambrin made an outstanding hosting performance and draws the attention of all audience. Her diversification dress style easily attracts anyone that extended her name beyond the country. Ambrina Sarjeen Ambrin, the fashionable model is looking for a perfect guy to marry if get, but the marriage is not prime aspire in life. Finally, she gets the perfect guy and married on November 4, 2017, who is Tousif Ahsan Chowdhury, a job holder in Canada. The marriage has completed with the consent of two families. After marriage, she did not come the to the home country Bangladesh and passing a happy time in Canada. On August 4, 2018, she has shared a photo of her newborn daughter. She gave birth to the daughter on June 23, 2018, after only eight months of married life. Her daughter name is Tahjiba Amaya Chowdhury.